Newly ventured into an online or rather just created your e-commerce website? Then along with design and smooth interface you a need a safe, trusted and fast payment gateway for website. A payment gateway? If you fumbled on this word, then don’t worry! Our blog perfectly guides you to understand what payment gateway for website is and why it’s important for your website. The blog enlightens you about how a payment gateway works and the end-to-end transaction journey as well. What Is A Payment Gateway For Website? Most of the leading online businesses or e-commerce websites are supported by robust payment gateway services. a payment gateway for website is used in order to process online payments made via various methods (credit cards, UPI, digital wallet, etc.). 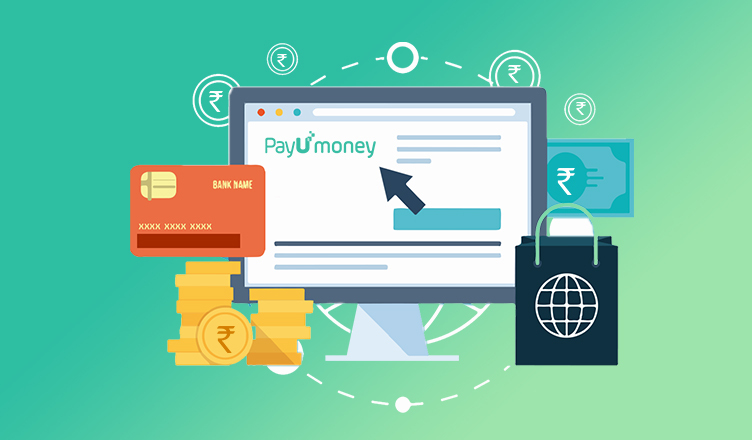 A payment gateway service provider such as PayUmoney, bridges the gap between your customers, banks and your online business. The payment gateway safely passes all the sensitive information such as your customer’s credit card number and so on, from one end to the other. Why Do You Need A Payment Gateway For Website? Secured & Protected Payments – Payment gateways are highly secured and encrypted. Hence, they protect sensitive customer data such as credit card number, etc., from fraudulent activities or online theft. 24/7 Store – Your customers can make a purchase anytime and from anywhere they want to. Shopping cart convenience – Payment gateways facilitate customers with shopping carts for better shopping and complete checkout experience. Tracking abilities – You can track all your transactions (past and present) all at one place. Multiple modes of transactions – Your customers can make use of a credit card, debit card, net banking, UPI and even international cards to make an online purchase on your website/app. Multiple Device friendly – A payment gateway provides smooth payment experience to customers, be it on a desktop, laptop, mobile or a tablet, etc. Faster transaction processing – A payment service provider is much faster than manual processing. Your customers can make a purchase without any inconvenience of waiting in long queues. Integrated payments & settlements – The effort of individually reaching out to multiple banks naturally reduces by integrating with a payment gateway. It takes all the load on your behalf so that you can solely concentrate on building your business. How Does A Payment Gateway For Website Work? Before you join hands with one, knowing the payment authorization flow of all the transactions that takes place on your website is essential. It all begins with your customer! Gaurang decides to purchase the jeans your e-commerce site. He selects the jeans he wants to buy and clicks on “Pay now”. He is now redirected to the PayUmoney payment page. Here, he enters all the required information: VISA credit card number, CVV, expiry date on the page. The payment gateway requests the acquiring bank for a response. Once the acquiring bank authenticates the request, it forwards the request to the issuing bank (Gaurang’s bank). A reverse cycle begins after issuing bank authorization. Issuing bank sends the authorized response (approved or declined) to the acquiring bank. Acquiring bank sends this response to PayUmoney. The payment gateway sends the response to your website. Finally, the transaction response is shown to Gaurang. Initially, the above process may seem too overwhelming. But it gets completed in just a few seconds! How Will You Get Payments In Your Bank Account? A particular amount is deducted from Gaurang’s credit card, once he makes a successful transaction. This amount is routed via credit card networks to PayUmoney’s acquiring banking partners. The acquiring banks then initiates a response (accepted or declined) and forwards it to PayUmoney. The payment gateway transfers this amount in your bank account after deducing applicable transaction charges. You will get the payment in your bank account in 2 working days after the date of transaction. When it comes to payments, ‘safety’ does raise your eyebrows. Before you integrate with a payment gateway for website, make sure that it is certified with industry’s highest level of security compliance; Payment Card Industry Data Security Standard (PCI DSS). PayUmoney is the ultimate solution here! It is not only highly compliant but also it provides a wide range of products and benefits for your website. So why wait? Sign up on PayUmoney to invite the best growth in your business now. How to choose the best payment gateway in India?